Hello, lovelies! Nowadays, I always found myself drawn to wearing dark colors especially black and browns. That's why I was obliged to order printed tops and bottoms to balance the black outfit. You probably noticed that I was wearing blacks in my consecutive style posts. Okay, I admit. I was wearing black pieces to hide the bulging belly which I gained from all the holiday festivities. Haha! Anyway, this time, a floral print pop changes the mood a bit. This trouser from ROSEGAL is something that you'd want in your closet. 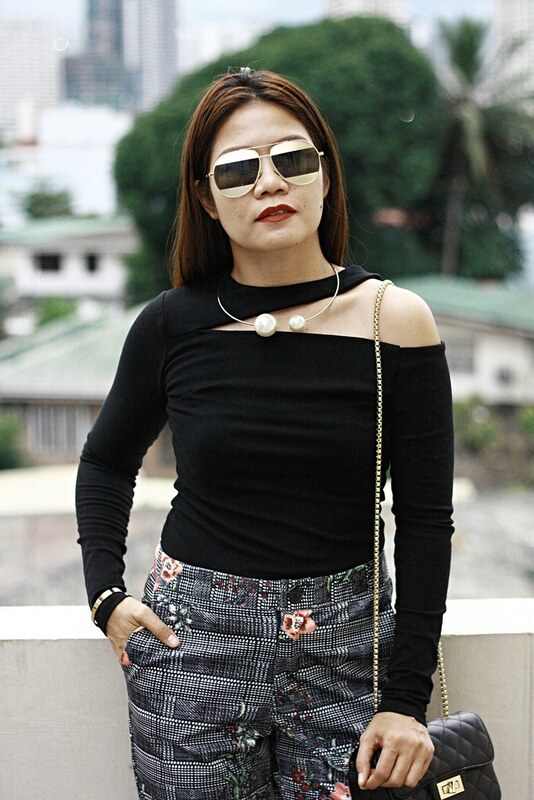 Just click the photo below or the link the below to see more photos and the outfit details. 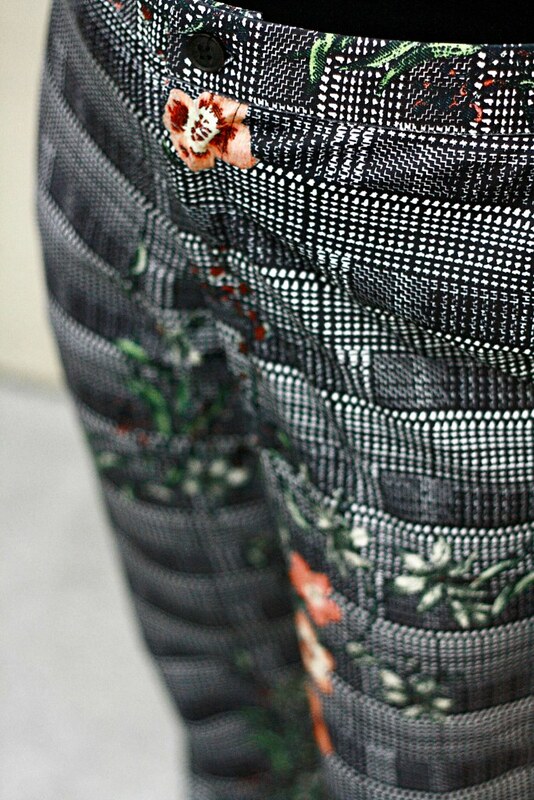 I didn't regret buying this flower plaid print pants because it is something that I would wear going to work. Office outfit shouldn't be boring in plain colors, right? Especially that I gained weight after the holidays, a black dress, top or bottoms can hide it or this printed trouser will do the trick. I really love the fit of this pants because it creates an illusion of slim legs. The length of the pants has something to do with it, too. This is made of good quality and was neatly sewn. The size is true (I'm size Medium, by the way). I highly recommend this product.